Nothing screams Fall like Pumpkins and Gords. Pick a couple up from your local grocer and leave them in strategic places around your apartment. Squash keeps for a long time, so when you’re done using them as decorations, cook up a delicious recipe like this Butternut Squash Soup! If you live near a lot of pine trees, you can collect the cones to make a wreath to hang on your door! All it takes is pine cones, hot glue, wire, and a little bit of imagination and you can quickly make up an easy decoration! When you’re done with it, you can compost the pinecones and store the wire for next year! It seems like every candle brand offers fall scented candles. Candles are a great way to set the “Fall” theme in your apartment, without worrying about having to put them away with the decorations. You can just continue burning them until they run out! 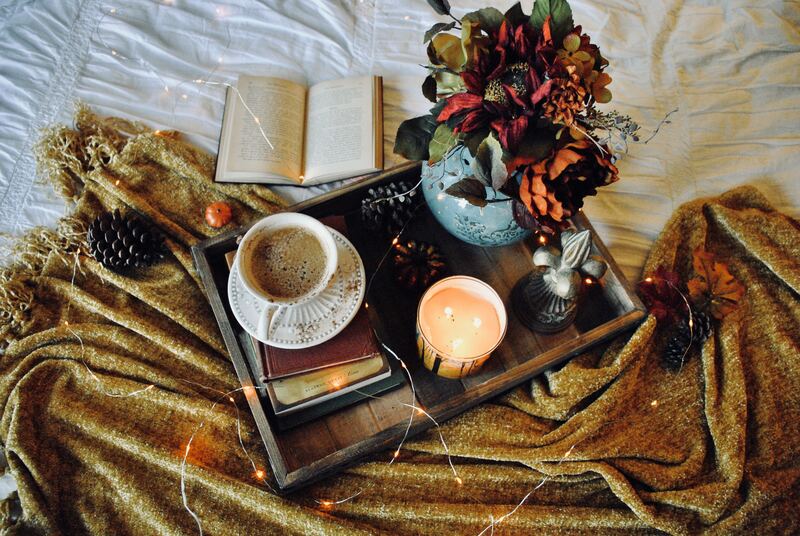 Do you like dressing up your apartment for the season? What are your favorite ways to decorate while still saving space? Let us know in the Facebook comments!